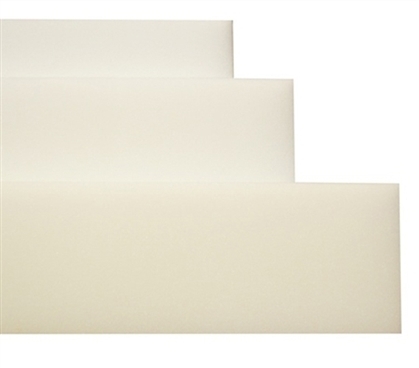 Thick Memory Foam Toppers reduce stress on pressure points! A Full mattress topper is an essential part of your college bedding. Besides, how comfortable can a used Full sized mattress be? It's hard to tell how many students have used your Full size bed before you, so it can feel less than perfect. In college, it's important to have comfortable dorm bedding to keep you going through your classes, studying, and extracurricular activities. Avoid any uncomfortable nights in your new college dorm room with our 2" Memory Foam Full Topper! This memory foam Full mattress topper is the perfect addition to your dorm bedding. The 2" barrier that this Full size mattress topper creates between you and your dorm room's Full mattress will provide extra support and protection. Memory foam is a great addition to your college bedding, as it melds to the shape of your body, allowing for personalized comfort. Because this essential Full mattress topper conforms to your body, it helps alleviate any stress placed on pressure points while you sleep. That is why Memory Foam college bedding = a great night's sleep!